The Akro-Mils® Plastic Storage Cabinet is generally designed to provide a organization as well as protection to its content. 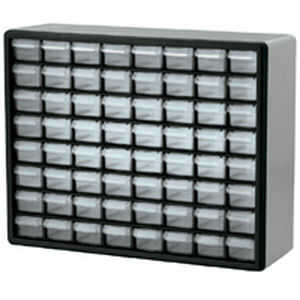 This cabinet stacks in stable position and is capable of being mounted in the wall with key-hole slots. 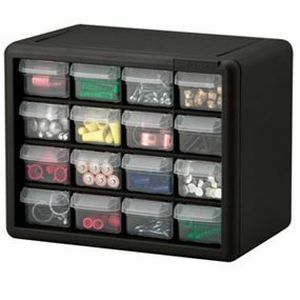 Additionally, this product features a wide range of drawer configurations necessary in providing a highly-flexible storage solutions.